I've been fantasizing for some time about what all could be done with needle felting, to create a beautiful background for bead embroidery. Recently when I was checking out some online sources for roving and needle felting supplies, I came across a fabulous material called soy silk roving. Talk about the ultimate in recycling! Soy silk is a fiber that is extruded from the waste products of tofu manufacturing. It looks like silk, feels like silk, and behaves somewhat like silk. 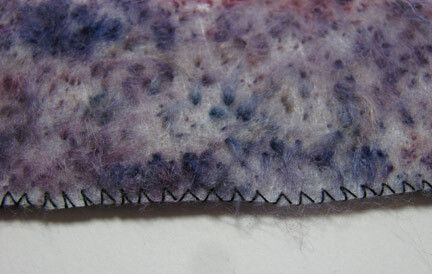 It supposedly can be used in needle felting, and that's what I wanted to experiment with first. 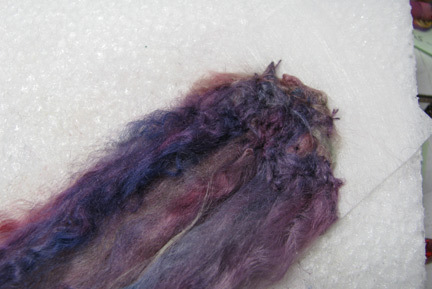 I bought a couple of hanks of soy silk roving from eXtremespinning on etsy. I have to tell you right upfront that although I am in love with soy silk roving, I am not in love with the look of it when it is needle felted. 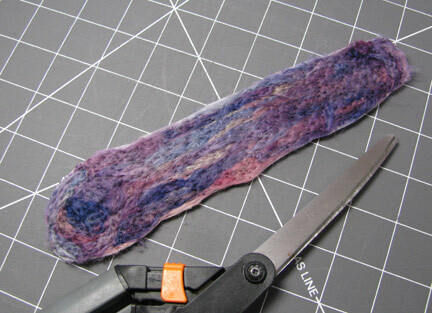 It looses all its luster, and there really doesn't seem to be much point in working with it instead of with wool roving. Plus, it doesn't needle felt as easily. 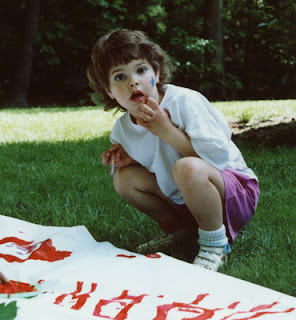 I had to try several different background fabrics before I found one that worked really well. Lutradur, thankyouverymuch! Since then, I've learned that wool "pre-felts" might work well too, but they are very very thin and flimsey, and besides...I didn't have any! Lutradur was almost perfect: it's stiff enough to hold up to future beadwork, and it tangled the fibers well enough that they didn't pull right back out. Still, I'm not satisfied, and so I'm not finished with the experiments. That's exactly what I started doing! Silk paper or silk fusion...it rocks :-) I'll be showing the experiments over the next couple of weeks. 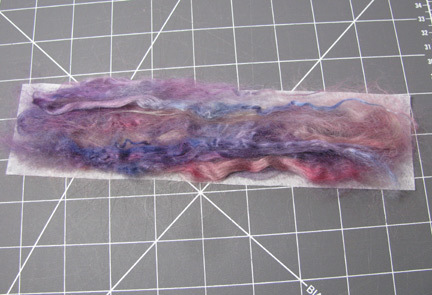 I've never heard of soy silk roving, but new products always invite experimentation. Thanks for the introduction. I'll be watching for more 'soy silk' posts from you. I think there must be ways to use it so that the sheen and silkiness remain, ... maybe in small bundles- couched? 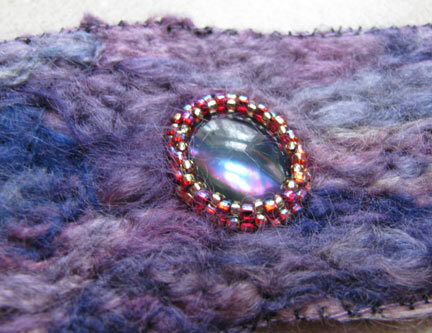 I'll definitely try this now in my fiber collage. Soy silk? I never heard of it. I'm waiting for you to discover something it really shines in. I know you will, Cyndi! I've never heard of this either. I love the texture that it has though.